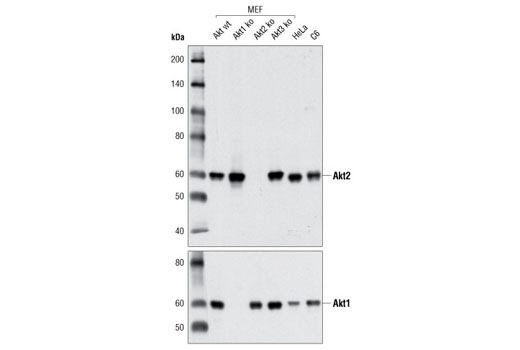 Western blot analysis of extracts from various cell types using Akt1 (C73H10) Rabbit mAb. Western blot analysis of extracts from various cell lines using Akt2 (D6G4) Rabbit mAb (upper) and Akt1 (C73H10) Rabbit mAb #2938 (lower). Western blot analysis of extracts from various cell lines using Akt3 (L47B1) Mouse mAb (upper) and Akt (pan) (40D4) Mouse mAb #2920 (lower). 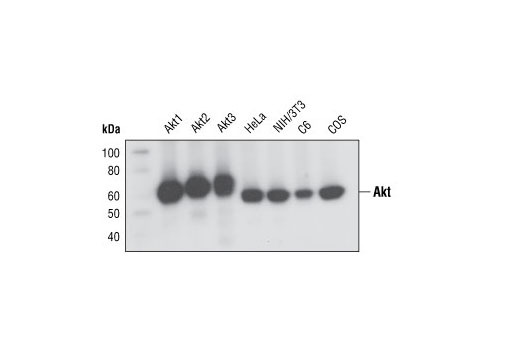 Western blot analysis of extracts from Akt1 (lane 1), Akt2 (lane 2) and Akt3 (lane 3) knock-out mouse embryonic fibroblasts (MEFs) and matched wild-type MEFs (lane 4) using Akt1 (C73H10) Rabbit mAb (upper) and Akt2 Antibody #2962 (lower). 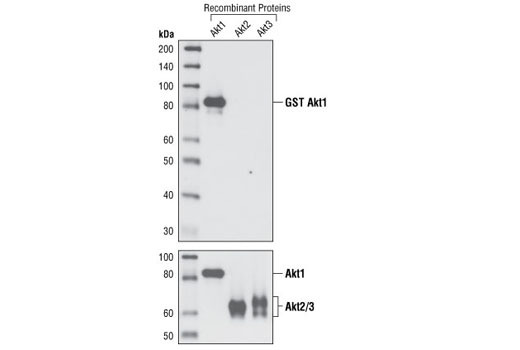 Western blot analysis of recombinant Akt1, Akt2 and Akt3 proteins using Akt1 (C73H10) Rabbit mAb (upper) and Akt (pan) (11E7) Rabbit mAb #4685 (lower). 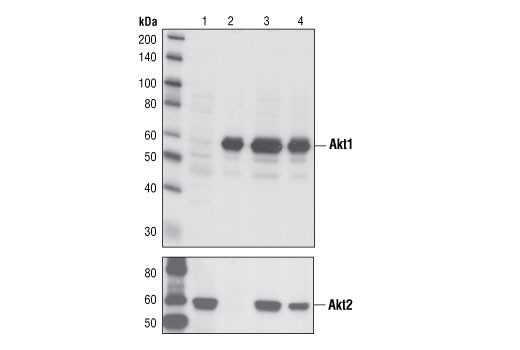 Akt Isoform Specific Antibody Sampler Kit provides an economical means of distinguishing between the three Akt isoforms, Akt1, Akt2 and Akt3, as well as a pan-Akt antibody. 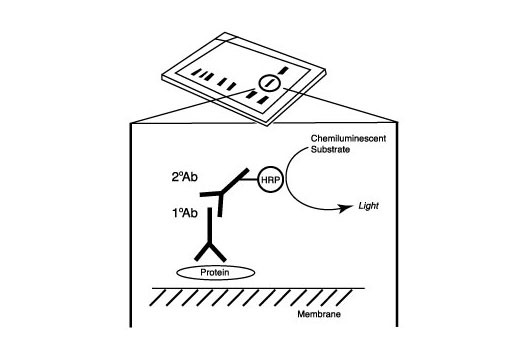 The kit provides enough primary and secondary antibodies to perform two Western blot experiments. 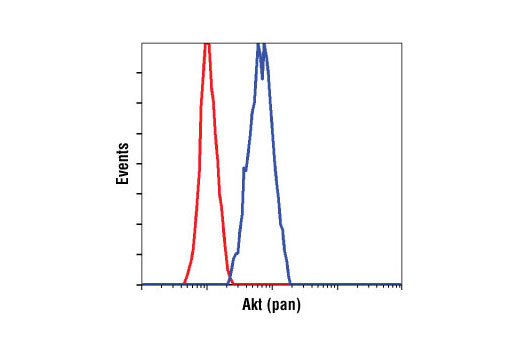 Each isoform-specific antibody recognizes endogenous levels of the specified Akt isoform independent of its phosphorylation state. 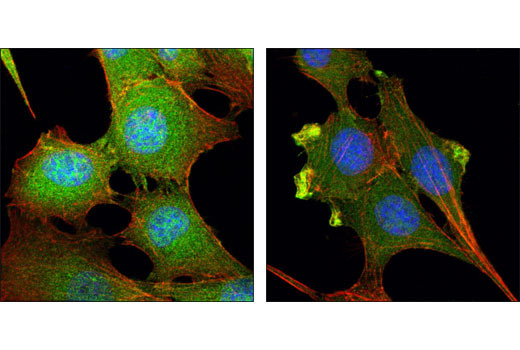 Neither antibody cross-reacts with the two other isoforms. 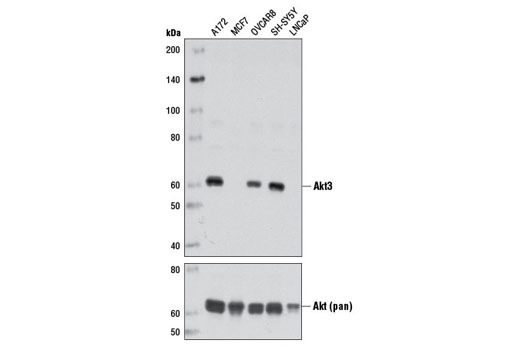 Akt Antibody recognizes endogenous levels of all three Akt isoforms. Each isoform-specific antibody is produced by immunizing mice or rabbits with a synthetic peptide that is specific for the Akt isoform. 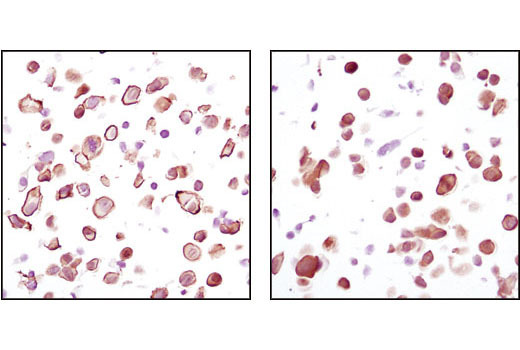 Akt1 Monoclonal antibody is produced by immunizing animals with a synthetic peptide surrounding Leu110 of human Akt1. 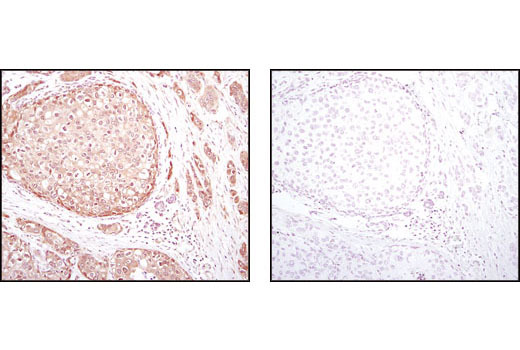 Akt2 monoclonal antibody #3063 is produced by immunizing rabbits with a synthetic peptide corresponding to residues of human Akt2. 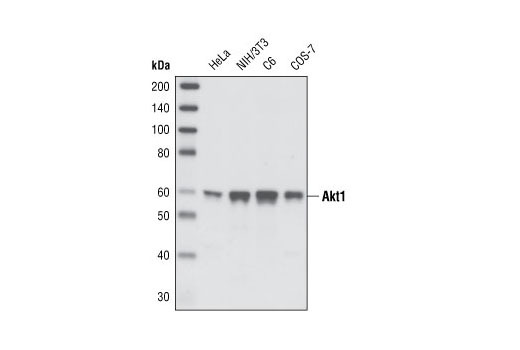 Akt3 monoclonal antibody is produced by immunizing animals with a synthetic peptide corresponding to residues surrounding Arg116 of human Akt3 protein. 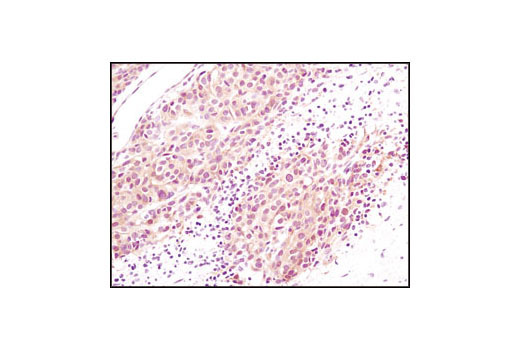 Akt(pan) monoclonal antibody is produced by immunizing animals with a synthetic peptide at the carboxy-terminal sequence of mouse Akt.